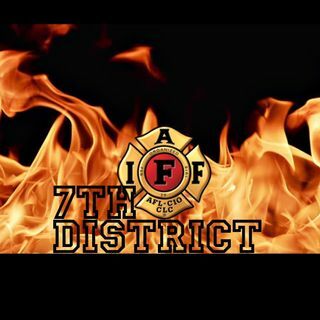 Join us in Olympia Washington for episode 9 as we kick off the Washington State Council of Firefighters 2019 Kelly Fox Legislative Conference. In this episode we had the opportunity to sit down with the Washington State Council of Firefighters Legislative team, as well as special guests Governor Jay Inslee, Senator Kevin Van De Wege, and Lt. Governor Cyrus Habib to discuss current issues during the 2019 legislative session. Nich Gullickson and Bud Sizemore discuss WSCFF legislative platform ... See More issues such as presumptive disease expasion, funding the LEOFF 2 benefit expansion account, and safeguarding members personal information related to PTSD claims. Governor Jay Inslee discusses the importance of Firefighters being invloved in the legislative process, as well as landmark legislation that has been implemented in recent years in Washington State. Senator Kevin Van De Wege talks about his experience working as both a Legislator and Firefighter, and the importance of getting involved. Lt. Governor Cyrus Habib gives an overview of the "three hats" he frequently wears while serving as Lt. Governor. Do you have an issue you would like to bring to the podcast? Drop us a line a social media and we will get ahold of you.